NOTE: I wanted to have this all completed for the Dreamcast's birthday this year, but it looks like the entire thing will not be complete. But in an effort to get something out by the birthday, I'm releasing the first 2 chapters in their entirety, plus half of chapter 3. I write these things mainly on the weekends, and am still working on chapter 3 (of a planned 7 chapters). The size of this tutorial has ballooned greatly. My first chapter used to be all of 3 pages long, now my introduction alone takes up that much space. Currently, I'm sitting at 32 pages for this tutorial. Developing a video game can be a deeply rewarding experience. It is a demonstration of technical proficiency in a number of disciplines that makes it rewarding to engineering types, while simultaneously being an expression of creativity and personality that makes it rewarding for artistic types. If you hang around on gaming forums long enough, you'll undoubtedly see people express the desire to try their hand at making games. There is a creative spark in amateurs that manifests in many art forms, from fan films to cover bands. I've been doing computer programming focusing on game development for over 20 years now. One of the things I did that immensely helped my understanding of game development was picking a classic console and learning how to program for it. Since about 1998, I've been studying the Sega Genesis, called the Sega Megadrive outside North America, as a hobby. I picked up m68k microprocessor assembly in the process and played along the ROM hacking scene for many years. Learning how the genesis worked gave me a deep understanding of how video games actually interact with hardware, and how those interactions fuel design choices. I've often recommended people pick up a classic system if they are serious about learning game development. Unfortunately, it's pretty hard for a complete beginner to jump into that kind of system due to comparatively weak hardware. We live in an era where programmers have essentially unlimited resources if they are developing a 2D game, which makes jumping back to an era where you are literally counting clock cycles enormously difficult. A better system to recommend people pick up is the Sega Dreamcast. The Dreamcast is a wonderful system. I consider it the last classic console - in terms of 3D, it offers no shader support (although you can perform bump mapping), nor does it have an incredible CPU that can brute force shader effects. 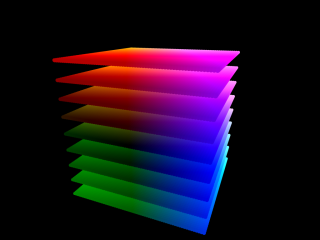 In terms of 3D, it's still of the fixed function pipeline era of OpenGL. It's GPU, the Holly chip, is part of an exotic design - the PowerVR 2 core. It even has a real dedicated sprite mode for 2D graphics. All this means that the Dreamcast has a pretty unique visual style. In terms of design, the Dreamcast is sort of the opposite of the Playstation 2. The PS2 had a powerful CPU - The Emotion Engine - to offset a crummy graphics chip, with only 4MB of fast ram. The Dreamcast, by contrast, had a weak CPU even for the time, but a pretty incredible graphics chip that punched way above its weight to go along with a huge 8MB of slow ram. The PVR Chip is pretty fun to play with - it offers tile based deferred rendering, and has hardware functions that greatly improve it's performance and ways to get even more out of your already-large pool of ram - sometimes even 32 times more. What all that amounts to is a system that is still unique enough to affect your approach to game design, like you have to do with mega drive programming, but with a lot more power. You need to tap the Dreamcast hardware in a specific way to make it sing, and doing so is pretty fun. I've researched online for a long time and there are many great resources for Dreamcast development out there, but no one singular guide to bring everything together. The goal of this tutorial is to introduce you to Dreamcast game development. It's meant to be a small slice of what game development can be like, concentrating more on the technical side of the equation than the creative side. With fans who want to dabble in homebrew, there never seems to be a loss for creativity anyways. This guide will walk you through making a breakout clone for the Sega Dreamcast. Breakout was the very first game I ever made using QBasic, several decades ago. Breakout is such a simple game to get your feet wet with - there is really no AI, the rules and mechanics are simple, and we can concentrate most of our energy on actually getting the to know the Dreamcast environment. This guide will walk you through every step, from you having no tools on your PC (Windows or Linux) at all to running the game on your Dreamcast. Along the way, it will discuss optimization, and teach techniques that can apply to more than just Dreamcast programming. It will also walk you through the creation of tools we will need to make our Dreamcast game, that help us interact with the hardware on deeper levels. Be mindful, though, that while this is a guide for beginners, a degree of basic programming knowledge will be assumed, but the point of this topic is for beginners to ask questions as we progress through this project to help understand what very basic development is like. I'll also try to explain the logic of what is going on as best as possible. Additionally, I make no claim to being the world's best coder and I'm still pretty new to Dreamcast Development in general, so if my code is embarrassing or I'm doing something all wrong, please feel free to correct me. In the end, this tutorial is for my own benefit as well. The official online manual for KallistiOS, with reference pages for every function and file in KallistiOS. DC Emulation is the best resource for Dreamcast programming I found. The board is active, as is the IRC chat (chat.freenode.net, #Dreamcastdev). Many of it's moderators have a deep understanding of KOS, and you get answers to questions pretty quickly. Sega's official Hardware outline for the Dreamcast, good for a basic understanding of the Dreamcast architecture. While I briefly cover Vector Quantization in this tutorial, this is a better, fuller read on the subject. In fact, I use images from this article to help with the concept. PLEASE NOTE: ALL FILES WITHIN THIS TUTORIAL HAVE EITHER BEEN CREATED BY ME, OR USED WITH PERMISSION FROM THE ORIGINAL AUTHORS. ALL CODE IS APPLICABLE UNDER GPL. For a large number of people reading this tutorial, this will likely be their first experience with homebrew development. Homebrew development can be at times much different than working with official libraries. In any job, especially when you are just beginning to work with a new tech, actually beginning is usually one of the most difficult steps involved. This is exasperated with homebrew development, because homebrew tools have been hobbled together over the years and thus up-to-date documentation can be hard to find. Luckily, Dreamcast homebrew remains vibrant and robust, thanks in large part to KallistiOS, also called KOS (pronounced "Chaos"). Modern development is often done with the help of a powerful suite called an IDE, an integrated development environment. An IDE is sort of a one-stop programming suite that contain everything you need to make a program. The most popular IDE is Visual Studio by Microsoft. Our goal in this first lesson is to, essentially, build an IDE for Dreamcast development. Now, that task is less daunting when you understand the toolchain process and how an IDE functions. 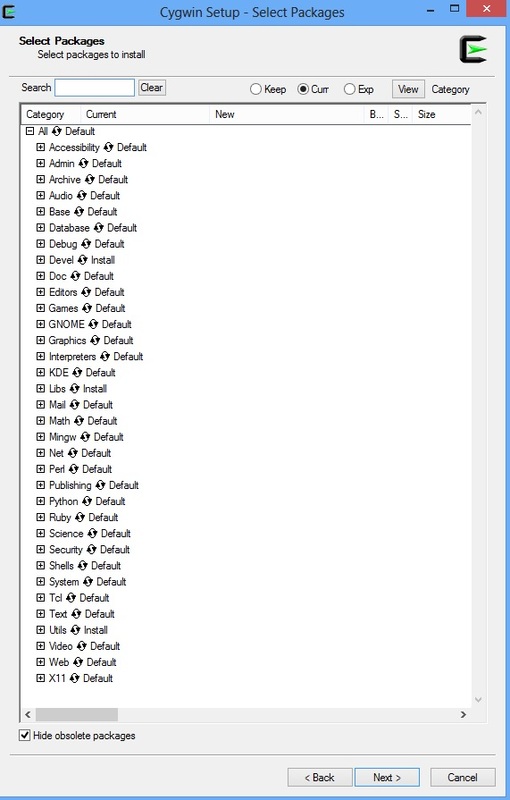 An IDE, in actuality, isn't a single program but rather hundreds and hundreds of small programs, packaged together, and wrapped up in a nice UI that makes everything look like one big, integrated program. When you, for example, call upon your IDE to build your project, what is actually happening is that you are sending your source code to another program called a compiler, which is fed options from the IDE, that takes the source and ultimately pumps out an executable object file. The hundreds of programs working in concert to make development of your program possible is known as a toolchain. Setting up your tool chain is often the biggest stumbling block for beginning Dreamcast developers. This is because each tool in the toolchain needs to be configured per system. ISO images of a windows XP installation with a Dreamcast toolchain already installed exist, but should be avoided because the toolchain updates pretty regularly and thus those tools are already out of date, and because of the hardware differences between your computer and the computer the windows XP installation first occurred on in the first place. To give a real world example - when this tutorial began in 2014, the process of setting up KOS was actually different than it is today. I had to update the install process between the two years it took for this tutorial to come to completion. The only real way to setup a Dreamcast toolchain is to do it yourself, locally, and set by step. We first need to set our PC up. This guide works with all versions of windows to my knowledge - I have set it up most recently on Windows 10 Pro x64. Additionally, it will also work with Linux - I have tested it with the most up-to-date Ubuntu distro. When appropriate, I will provide additional steps and tips, should there be differences between operating systems. Most of what we do in this tutorial will use either a text editor or a terminal. For Linux, any text editor or terminal program will do. I personally use gedit and GNOME Terminal, although others assuredly would work. For windows, we will need CYGWIN as our terminal, and Notepad++ as our text editor. CYGWIN is a UNIX-like environment for windows. Notepad++ is a very lightweight text editor with lots of functions built in to aid with coding, like highlighting syntax. More importantly, notepad++ lets us change our encoding style in ways that Word Pad or notepad won't. See, those programs will use windows encoding randomly and it can screw up our gnu tools, which expects a UNIX encoding style. An example is how return characters in Word Pad will appear as the character '/r' to gnu, which causes all sorts of problems. Notepad++ is what we will be writing our Dreamcast source codes in, as well as editing our Makefile scripts and building additional scripts to help us compile. Please note that, even if using a 64-bit operating system, the x64 version of Cygwin is unstable and not suitable for this project. Using Cygwin64 will cause problems. Even if you are on a 64-bit operating system, download the x86 32-bit version of Cygwin instead. 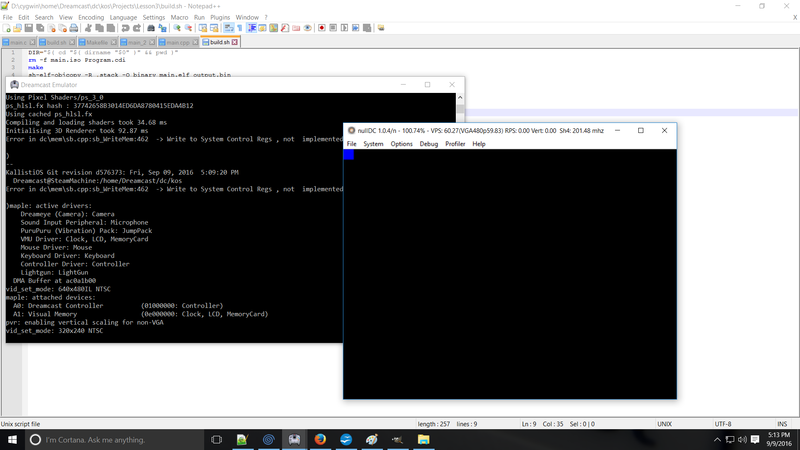 When Cygwin is installed, run it and you will see what looks like a DOS terminal. This works much like a standard UNIX file structure. Located within C:\Cygwin is a number of files and folders that seem to correspond to the typical files and folders you'd find in UNIX: usr, home, lib, var, etc. Any time I refer to the terminal, I will be referring to Cygwin when running windows. Now, open a terminal window. If you are running windows, you need to make sure to give your terminal window Administrator privileges for many of the steps we are doing. To do this, right click on your Cygwin.exe icon instead of left clicking it, and click "Run as Administrator." If you'd like, you can make a shortcut to your Cygwin.exe and set it to automatically launch as administrator by right clicking and going into properties, then clicking "always run as administrator." For Linux, you can grant super user privileges by using the sudo prefix with your commands. I will try to show use of sudo when necessary. It'll run for a while then require you agree to an EULA for some Microsoft products. Tab over to OK and click "OK", then "Yes." Follow the above guide. Note that the PC I'm working off of for this tutorial already was configured to build SDL projects with Visual Studio 2013, so that's the IDE I use for developing SDL 2.0 applications. The above tutorial is short and walks you through setting SDL 2.0 for a variety of free and commercial IDEs in both Linux and windows (as well as OSX). Setting up SDL with the IDE of your choice shouldn't take very long at all. Once you have it set up and can run his test program, you can return to this tutorial and go to the next step. Open your terminal. The folder it opens to should be your home folder. In Cygwin, this is usually "/home/" while it can vary depending on your Linux distro. We will refer to this home folder with a tilde in the future. I.e. "~/" is usually "/home/" in Cygwin. As a note to beginners, the folder ".." represents a parent path. You can use ".." in any path to indicate a recursive return to a higher parent. So, parsing that code, we change directories to parent (we were in /dc/kos-ports, so the parent is dc), then kos, then utils, then dc chain, meaning our final location is /dc/kos/utils/dc-chain. This will run the download script. sh files are scripts which send commands to Cygwin (or UNIX or whatever) that we will be using extensively to compile our programs later on. We'll go into more detail about how to build and setup scripts later on, right now the above script will download the dc-chain within KOS. An additional note, the path "." means "current working folder." Because you need to indicate the exact location a file resides, you can use "." to avoid having to type out the full directory. In this case, "." represents "dc/kos/utils/dc-chain" meaning the full command we issued was "dc/kos/utils/dc-chain/download.sh --no-deps"
Let this run a bit, once it unpacks all the files, we will make the KOS toolchain. Let's explain a sec what the process of make is. make is a program that builds executable and libraries from scripts called Makefiles. You can think of make as sort of a command-line tool you use to feed your compiler source code to, and you select what source and build options for make to use by supplying it with a Makefile. In this instance, make is going to configure our libraries for us. This copies environ.sh.sample (it's a script) from doc to kos and renames it environ.sh. We can now set aside cygwin, as we need another piece of software. Where [windows user name] is the name of the account you're logged in as under windows. On my PC, my user name is "Dreamcast". Locate environ.sh and open it with notepad++. Likewise, you can use an editor like gedit to open it in Linux. The highlighted line in the above image, "# KOS main base path" is what we need to change. We need it to point it to our KOS folder. On windows, this path is relative to Cygwin, and we need to use a POSIX style folder location, which involve simply changing the backslashes to forward slashes. That means that if the folder was at "D:\Cygwin\home\Dreamcast\dc\kos\" then we would only consider "home\Dreamcast\dc\kos\". You need to do those last steps - make environ.sh executable, source environ.sh, then make, then building kos-ports - every time you first run a fresh terminal if you want to compile your source code. These steps, what we've done, is primed our compiler to be able to generate Dreamcast executable files. To make this easier, let's set these steps to occur automatically. In Linux, this means you want to edit your bash configuration script located at "~/.bashrc" and Cygwin has a similar file. In "~/.bash_profile"
Now, every time we open our terminal, it'll be ready to compile Dreamcast code. You need to extract the executable into the "\bin\" folder of Cygwin. On my computer, that is "D:\Cygwin\bin\". Our PC is finally set up to start building Dreamcast projects from source. In our next tutorial, we will do just that, building an example included with KOS. -WHAT DOES IT MEAN TO COMPILE A DREAMCAST PROJECT? WHAT DOES IT MEAN TO BUILD A DREAMCAST PROJECT? WHAT DOES IT MEAN TO COMPILE A DREAMCAST PROJECT? WHAT DOES IT MEAN TO BUILD A DREAMCAST PROJECT? So, now that our toolchain is all set up, let's try building a project and running it, both in an emulator and on a real Dreamcast. Before we begin, let's first talk about what compiling actually is. Colloquially, compiling has become a catch all term for "Turn source code into executables." More specifically, the compiler we are using, gcc, does two things - first it converts files into object code (called objects, denoted as *.o files), and then it links objects together into a single binary that is executable. Since Windows is the dominant operating system, most people assume an executable is an .exe file, but a more common executable format outside of windows is .elf (Executable and Linkable Format). When we compile our Dreamcast projects, we will output an elf file that is capable of being executed by the Dreamcast. There are multiple ways to deploy an elf file on a Dreamcast - for example, there are windows-like shells you can run on the Dreamcast, like Dreamshell, that will let you mount an SD card and execute elf files by clicking and opening them, and emulators like NullDC are capable of loading an elf file like a rom. But, ultimately, we are interested in running our program on a real, stock Dreamcast, which means we will have to burn our program into a bootable CD-ROM. To understand how we build a bootable CD-ROM, we must first understand what a CD-ROM is. From the perspective of our computers, a CD-ROM is a continuous stream of binary - 1's and 0's, which are further arranged into sectors, which are further arranged into tracks (owing to the format's roots in audio). There is no inherent file system when talking about data stored at this level (yes yes, ignore sector segmenting for a moment); rather data is stored sequentially, meaning if I had 3 files each 1 byte big, they would be stored as 24 bits back to back with no discernible distinction between the files. File systems, interfacing, and data formats make sense of this data at a higher level, but on the disk the best we can do is tell which specific bits we are reading in a stream of them. We identify what area we are currently examining via a seek offset. The Dreamcast boot sequence is tuned to look for two files at two specific regions of the CD in order to boot - IP.bin and 1st_read.bin. After which, the bootstrap transfers control over to 1st_read.bin. 1st_read.bin is actually our ELF, stripped of all the headers it gains when compiling, and converted into binary. It is placed at offset 0x8C010000 which IP.bin branches to in execution. The Dreamcast reacts differently from here on out depending on whether it is reading a GD-ROM or a CD-ROM. If the disc is a GD-Rom, the Dreamcast will read 1st_read.bin linearly into memory, as would be expected. 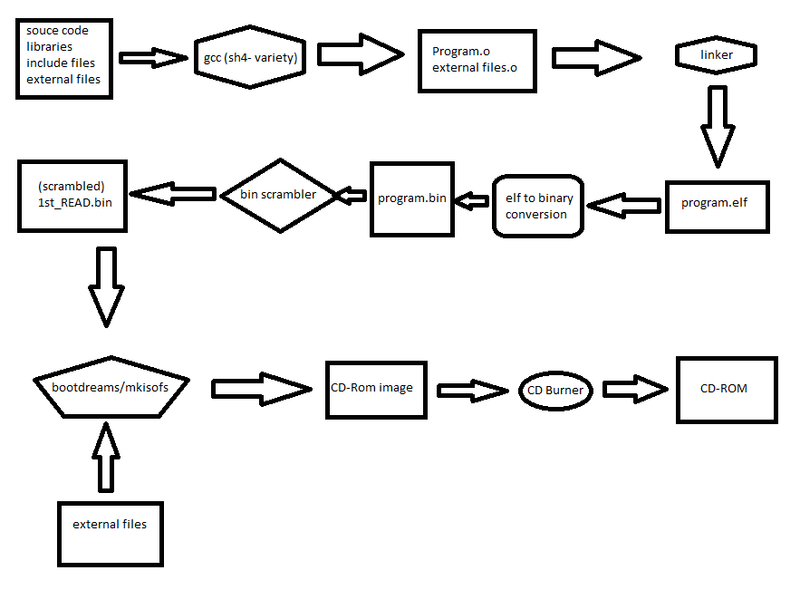 To prevent people from running programs from CD-ROMs (as one of their anti-piracy measures), if one is detected the Dreamcast will instead read 1st_read.bin using a pseudo-random scattered pattern generated from a specific arbitrary seed, scrambling the binary out of order and destroying it in the process. We can defeat this process by reverse-scrambling our elf when converting it to 1st_read.bin by using the opposite of this pseudo-random scatter. This way, the scatter cancels out and our ELF is preserved when it enters memory for execution. Many assume the Dreamcast had poor anti-piracy measures, but the reality is that the Dreamcast was broken wide open early on by a pretty heinous and serious breech of security. The only reason Dreamcast piracy and homebrew were ever possible is because a Katana SDK - the official Sega SDK for the Dreamcast, was stolen by the warezgroup Utopia sometime around late 1999. The Katana SDK contained a scrambling program that would automatically reverse scramble your binary for you, intended to let developers burn non-game related tools on CD-ROM instead of GD-ROM. Access to the Katana SDK did not mean piracy groups could freely author software, as it still took a few years of research to reverse engineer the pseudo-random scatter algorithm (which they did by examining pre-scattered code against post-scattered code), but rather it allowed them to create one single program which could load other programs, which they dubbed the utopia boot CD. Had that Katana SDK never been stolen, the entire Dreamcast piracy and homebrew scenes would likely never have materialized. Anyways, because these files (IP.bin and 1st_read.bin) need to be in precise locations on the CD, we cannot simply burn our elf like a PC data disk and expect the program to execute. Rather, we need to pack both files into a binary CD image, so we can place them at precise offsets, and then burn that image. 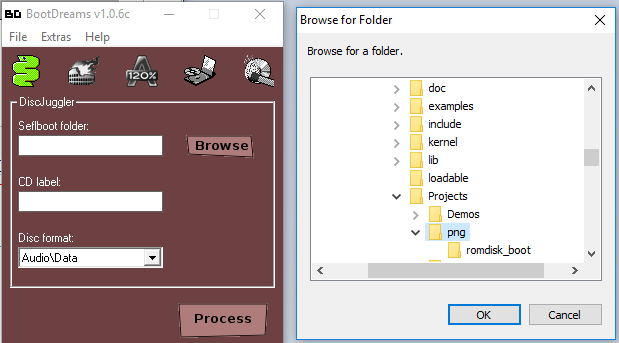 Luckily, KOS provides utilities to do that manually (mkisofs), and there are also easier gui utilities to do that automatically (bootdreams). Additionally, both of those utilities will also let us add other external files to our CD-ROM image beyond our executable binary into the other unused sectors of the CD-ROM, like music, graphics, data, and so forth. From there, we can finally burn our disc and boot our program on a real Dreamcast. All that looks gnarly, but in practice, it comes down to just a few commands after setting up our Makefile. It's not a painful process once you do it a few times, and shouldn't be a problem to build in rapid succession multiple times during development. Additionally, we can use emulators at times to cut out the steps involving actually burning the CD. For the sake of clarity, going forward, use of the term "Compile" will refer to the process of creating the ELF, while use of the term "Build" will refer to the entire process of creating the elf and converting it to a CD-ROM image along with external files. I.e. "Compile the project" = "create an elf file"; "build the project" = "create a booting CD that includes our program and external files." the "-r" flag we used in the copy command means we are copying all the files (indicated by *) and folders in ~/dc/kos/examples/Dreamcast/png/ recursively, which is a long way of saying we will copy folders as well as files. First, we have our source code file, example.c When we program for the Dreamcast, we can use either C++, which are .cpp files, or we can use C, which are .c files. Next, we have our Makefile, which is where we do the actual compiling of our projects. Makefiles are scripts that we feed to a GNU program called Make to automate the process. Within our Makefiles we can set up compiler options and do more, such as calling external tools we may need during the compiling process. Finally, we have a binary file called wfont.bin that holds the graphics data for a font we will use to render text in this example. In a later lesson we'll dive further into data formats and reading binary. that nation, or any nation so conceived and so dedicated. . .
can long endure. We are met on a great battlefield of that war. for those who here gave their lives that this nation might live. But, in a larger sense, we cannot dedicate. . .we cannot consecrate. . .
to that cause for which they gave the last full measure of devotion. . .
that we here highly resolve that these dead shall not have died in vain. . .
that this nation, under God, shall have a new birth of freedom. . .
and that government of the people. . .by the people. . .for the people. . . This lesson isn't going to dive into the source code for this example, as we'll eventually cover everything it does in future lessons. It's not important to understand exactly how it does everything, but for the curious, this program will use a library called zlib to decompress the text file above into plain text in memory, then load a font graphic into memory along with a png file that is loaded as a texture. It then draws the png file in the background of the program and renders our decompressed text file using our font on the screen in scrolling text - a pretty basic and classic style demo. then KOS would allocate some memory for us in the Dreamcast's 16MB main memory, and then tell the GD-ROM drive to read data off the CD into that memory so we can access it locally. This has a few downsides - first, this is slow, as it takes time for the GD-ROM to be read and moved into memory. Secondly, this has the obvious downside of needing to actually load files to use them in the first place. That might not sound like something that we need to worry about, but it can be problematic. 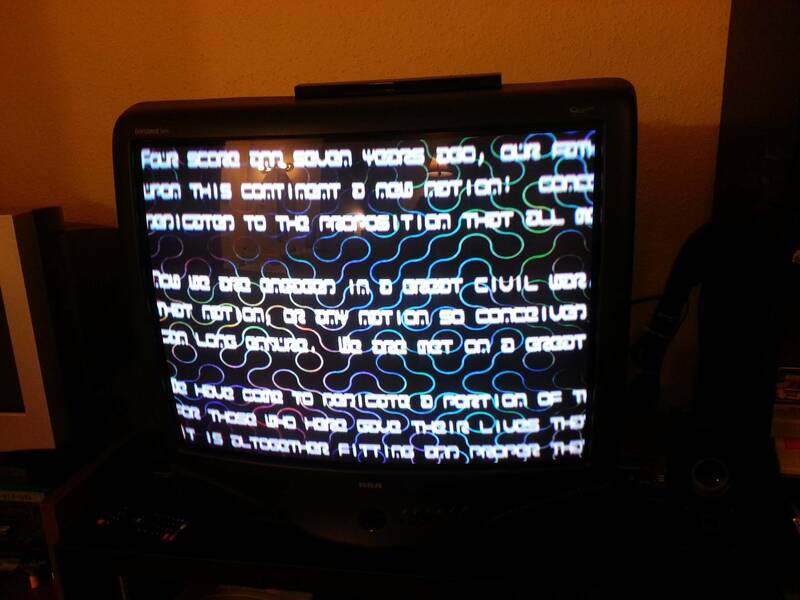 For example, when you run a program on a real Dreamcast, we have no console to output text to. If we output text to the screen on a real Dreamcast console, that means we are rendering text itself, which means we need to have a font graphic loaded in memory. But, say our command to open the font graphic from the CD was bugged - we couldn't actually output whatever error we had in the first place. For this reason, it becomes necessary to have data that is bundled with our program itself, as part of the program binary, so that, as soon as we load the program, this data is loaded with it. extern, for those unfamiliar, is a reserved word indicating that the variable is defined elsewhere in the program. You usually see this in programs that share a variable across files (i.e. source1.c and source2.c both share a variable), but in this case rather than pointing to a later declared variable, we're pointing to an actual block of data in our binary. So long as our label matches the file name, our compiler will figure it out for us. This way, if we needed to use a font to output console information to the screen, it would already be available in memory as our program loads. This method of packing data into your executable isn't limited to KOS or the Dreamcast, and can be used in normal PC development, btw. The downside to this is that, should you want to unload that file to free memory, you're going to have to manually deallocate your memory. Further, you're going to have to essentially manually refernce every file you want packed into your binary in your source code. If you're packing multiple objects into your binary, this could get very long. Just make sure the label matches the file name for our romdisk object that we generated with genromfs. You can actually use romdisks to load multiple chunks of files by creating multiple romdisk objects packed into your executable. This can make for an easy way to load in and out data in your program; i.e. packing all of "level 1" assets into "level_one_romdisk", all of "level 2" into "level_two_romdisk", etc. We can also mount an SD Card adapter through KOS, although it's more involved and not automatic. We will cover mounting an SD Card in a later lesson. SD Cards are read through a homebrew adapter that connects to the serial port of the Dreamcast. We can launch an ELF from the SD Card as though it were launching from the GD-Rom Drive, but in doing so we lose the ability to write to the SD Card adapter. However, if we boot from a CD-ROM, we can access the SD Card in much the same way you'd access as USB drive - both with the ability to read and write. This can be helpful for logging or swapping out assets without rebuilding your entire program. Open the Makefile in our png folder (~/dc/kos/Projects/png/) with our text editor. You'll note that Makefiles don't have a file extension, but they are still plain text files. Makefiles will vary from project to project, but the Makefile in this example is pretty general and can be used as template going forward. Makefiles are scripts that control the way our make commands work. This line tells our Makefile to include a general set of rules. You'll note we use a symbol, $(KOS_BASE). This is a label we declared when we ran our environ.sh script. If you go into environ.sh, see exactly what $(KOS_BASE) maps to, in this case, the location of our KOS folder (~/dc/kos). This line declares a variable string called OBJS that we can use when sending commands. Anytime we use OBJS in our commands, it will be replaced with the text to the right of the equals sign. To use this variable in a command, we use a dollar sign then call the name of our variable in parenthesis, like this: $(OBJ). This is another variable string. This one is for flags we want to use later on. It uses the $(KOS_BASE) symbol, then goes to the /addons/zlib/ folder in KOS. This means that the clean command is deleting any files we might generate during a compile. In this case, the following files are deleted: example.elf, example.o, wfont.o, and any files named romdisk_boot. That is the general purpose of any clean command, and it's generally a good idea to have one that deletes all files you produce in compile. This is a macro to prep a built project for distribution. You see it deletes the object files we produce during compile (example.o and wfont.o), and it deletes any files named “romdisk_boot” regardless of extension. This command then calls $(KOS_STRIP). KOS_STRIP is defined in environ_base.sh, which is called in environ.sh. It is a link to a program in Cygwin's bin folder called sh-elf-strip, which is located in opt/toolchains/dc/sh-elf/bin/ sh-elf-strip is a program that removes symbols from files, which we do to our elf when we want to distribute it. this is a macro to manually remove the elf file we generate from compile, along with all our romdisk_boot files regardless of extension. This is a macro to create example.elf. To the right of the macro name, we have two per-requisites that make will check. First, all the objects we defined as $(OBJ) must exist, and also a file named romdisk_boot.o must exist. This is our Linker function. The actual command begins with $(KOS_CC). KOC_CC is defined in environ.sh, it is a link to our compiler, at “/opt/toolchains/dc/sh-elf/bin/sh-elf-gcc”. Sh-elf-gcc is a special variant of gcc that generates elfs for the sh family of processor by linking object files. The Dreamcast uses an sh4 processor. Before this macro will run, the prerequisite files must exist. If the files do not exist, they will check our environ.sh, environ_base.sh, and any files “included” with the Makefile, along with the rest of the Makefile itself for instructions on how to create them. Let's examine our prerequisites and see how they are generated before examining how our linker works. “%” in this case is a wild card input, kind of like “*”. In this case, there is no specific instruction for “Example.o” but there is a general rule for any object file. You see this macro has a prerequisite itself, %.c has to exist, in this case “Example.c”. In this case, that file does exist in our folder, so we pass the prerequisite. It calls kos-cc from our KOS_BASE folder (because that's where Makefile.rules is), which is our KOS C compiler. We feed our C Compiler $(CFLAGS) which is set automatically depending on our version of KOS. The -c flag tells the compiler to take in a source file. The -c flag takes in a parameter, which pass as $<. $< is a symbol that refers to our prerequisites themselves. $< means the first prerequisite on the list, which is “%.c” which is also “Example.c”. The -o flag tells the compiler we want to output a file. The -o flag takes in a parameter which we pass as $@. $@ is a symbol that refers to the name of the macro itself. Since our macro is called “%.o” this means we pass the compiler an output of “%.o” which, in this case, means “example.o”. In short, we are telling the compiler to take in Example.c and output Example.o. In this case, wfont.bin needs to exist first. You may remember that we said wfont.bin was the graphic for our font in binary form. In this case, rather than calling our KOS-CC compiler, we call a program in ~/dc/kos/utils/bin2o called bin2o. This program rather obviously converts a binary file into an object file suitable for linking. Again, we feed the first prerequisite as an input, recognized as the symbol $<. Object files contain a label, which we set by passing the “wfont” flag. This labels our object file as “wfont.” The output file is passed as the macro name recognized by the symbol $@. In short, this runs bin2o and takes in wfont.bin and outputs a object labeled “wfont” as wfont.o. $(KOS_GENROMFS) is a link to a program called genromfs located at “~/dc/kos/utils/genromfs/”. By passing -f to genromfs we force it to generate the file without complaining, even if it already exists. We use the macro name, romdisk_boot.img as our output recognized by $@, then tell genromfs we are passing a directory by passing “-d”. “-d” takes a parameter which we pass as the string “romdisk_boot”. The -v flag tells it to be verbose, so we can see the generation of the folder. What this does is take our romdisk_boot folder and turns it into a binary image of the folder, called romdisk.img. With Example.o, wfont.o, and romdisk_boot.o all created, we can finally continue with our Linker call. Recall that our linker called a program named sh-elf-gcc. When calling sh-elf-gcc, we use $(KOS_CFLAGS), which is defined in environ.sh. These are general settings we want to use for gcc. According to environ_base.sh, $(KOS_LDFLAGS) actually isn't set. Whether or not it's set depends on which version of the kos-cross compiler we are using. we don't really need to worry about it. It disables stdlib when set, which we don't necessarily want. $(KOS_START) is a macro to call a startup script. Whether or not it's set depends on which version of the kos-cross compiler we are using. we don't really need to worry about it. $^ refers to our prerequisites, which we are feeding to gcc to generate our output file. Though we don't use it in this example, $< would refer to the first prerequisite we listed, $(OBJ), while $> would refer to the last, romdisk_boot.o. $^ refers to all the prerequisites, so we wind up passing gcc $(OBJ) and romdisk_boot.o, which equates to example.o, wfont.o, and romdisk_boot.o. Finally, we pass our Linker library files that we need. When compiling in unix, library files usually begin with -l, for example the png library is -lpng. In windows, typically library files are .lib files, for example png.lib may exist. Because we are using Cygwin in windows, we adhere to UNIX style rules. In this case, we pass 4 libraries: -lpng, -lz, and -lm, and $(KOS_LIBS). $(KOS_LIBS) are all the libraries we need to compile KOS projects. Thus, in all, our Linker calls sh-elf-gcc and links example.o, wfont.o, romdisk_boot.o, and uses libraries -lpng, -lz, and -lw, to output example.elf. This folder we select will be turned into the “/cd/” folder from the perspective of our program. Bootdreams will find 1st_read.bin and IP.bin in this folder and assign them to the appropriate spot on the cd accordingly. 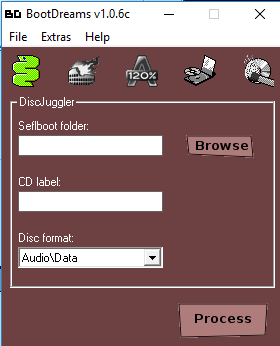 Make sure you have diskjuggler selected at the top of bootdreams and give your program a label in the label section. 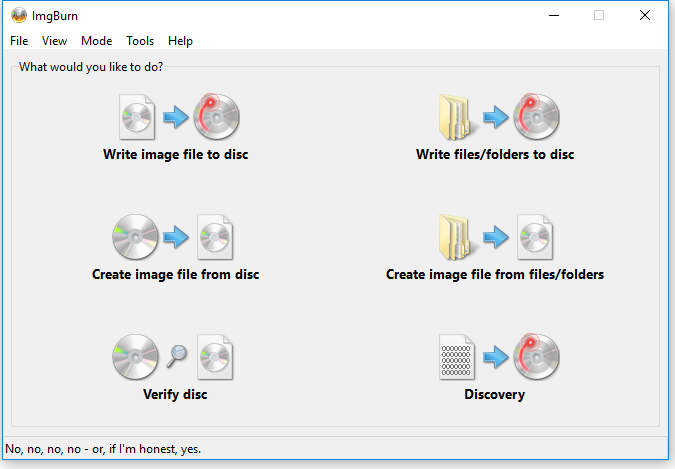 Keep your disk format as Audio/disk, then click process. It will ask you if you want to create a diskjuggler image, click yes. If, for some reason, it cannot find 1st_read.bin, it will ask you what binary file you want to associate with that region of the disk. Also, if it doesn't find IP.bin, it was ask if you want it to create it. With all that said and done, save your file as “example.cdi” file. Click “write image file to disc” and next to “Please select a file” click the folder button. Navigate to your example.cdi file, insert a blank CD-ROM into your CD burner, then click the burn button. Sit back and wait for it to burn. If you aren't on windows, or don't want to use these GUI programs, you can burn your disc using the following commands instead. This creates a second iso that will pad our CD, then burns our session1.iso on session 1, then burns session2.iso on the second session. Otherwise, we can load either the cdi image we create with boot dreams, or the sesssion1.iso we created otherwise in NullDC. To do this, open NullDC and click “File → Normal Boot” then select your CDI image and click ok. Assuming your emulator is set up correctly, you will boot the program as intended. Now that we understand how to build a project, we can embark on writing our very first Dreamcast program. As mentioned before, you need to tap the Dreamcast in a specific way to make it perform well. For our first program, we will intentionally not tap the Dreamcast that way. We will instead do things as inefficiently as possible. I have chosen to start off by showing the wrong method first, because the right methods build upon these fundamentals. What we will be doing is called software rendering. If you've played PC games like Quake, you might be familiar with the term. Software rendering means what we will be using our CPU exclusively to draw our scene, rather than using the video hardware inside the Dreamcast to speed things up. our code will measure our frame rate, so we can observe how much of a speed increase we get from writing code that utilizes the Dreamcast hardware better. The Dreamcast hardware is interesting compared to modern systems. In a modern system, the GPU is essentially a tiny media-oriented computer within your larger computer. 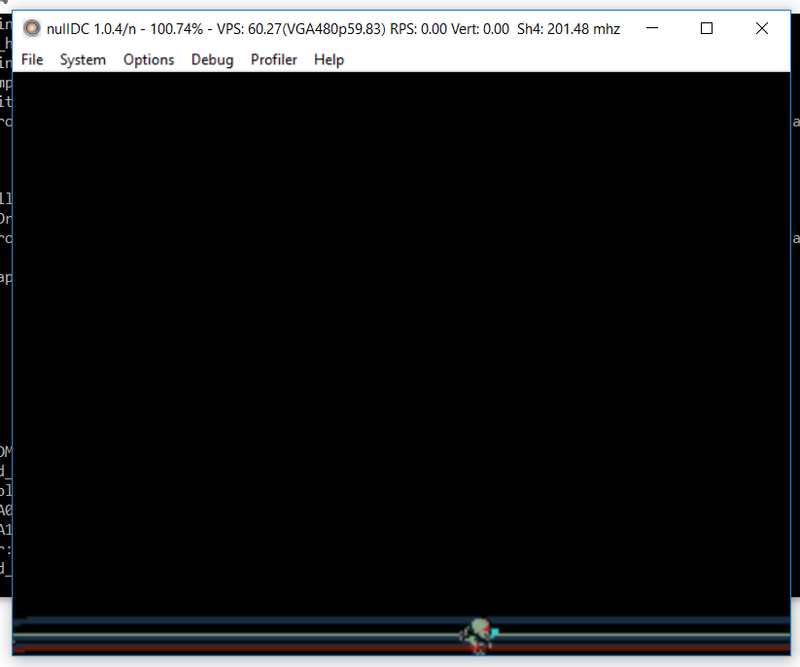 Modern GPUs are pretty amazing, they not only interface with the video device we are outputting to, but they also are capable of running tiny programs, called shaders, that operate on every pixel or vertex being drawn to the screen. They are also terrific at crunching math. Today all 3D math is handled by your GPU in massively parallel fashion. The Dreamcast is way different. Technically, it doesn't have a GPU, it has a graphics core which a part of another chip called Holly. The graphics core of the Holly chip is a Power VR2 core. The Holly chip is sort of a gate keeper that handles input and output for the Dreamcast, and communicates to the SH4 CPU. The holly chip handles polling from the controllers, for example. The PVR core has it's own quirks that make it better at handling certain tasks, which we'll get into in a later chapter. But one task the PVR core and Holly chip do not handle is 3D math – there is no logical hardware in the PVR core to handle mathematical calculations. All 3D transformations on the Dreamcast are done by the CPU! There is a bus between the CPU and Main ram to the Holly chip, and separate busses between the graphics core and the VRAM. This means writing to VRAM from the CPU is very slow – When the CPU accesses VRAM, it must first send the data to the Holly chip, which is then sent to the PVR Core, which then gets sent to the VRAM. 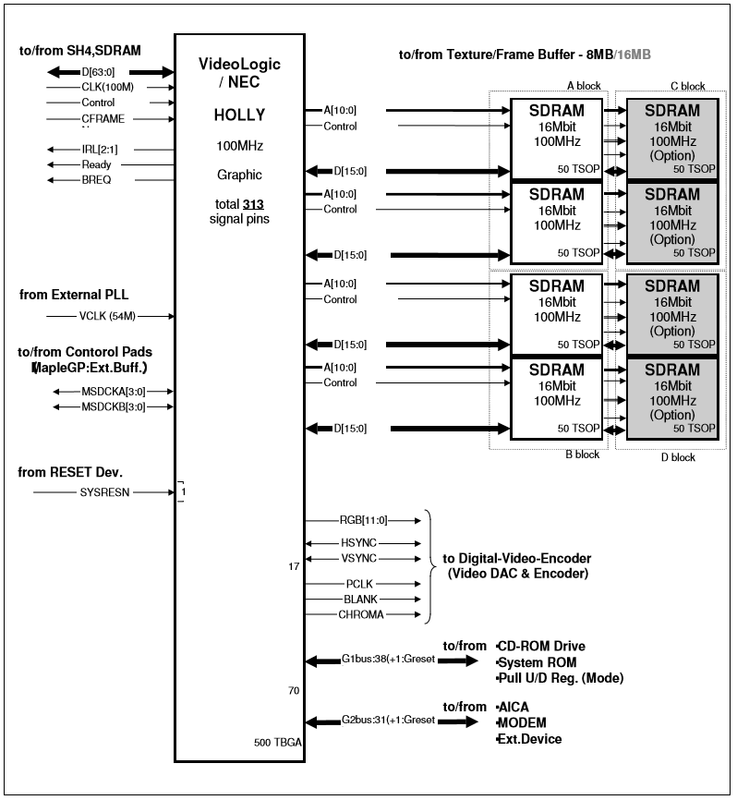 By constrast, access from the Holly chip to the VRAM is fast – the VRAM of the Dreamcast is split into two contiguous memory blocks, each made up of two 16MBit SDRAM banks that are also contiguous. Holly can access these banks either 64-bits at a time, 32-bits at a time, or 16-bits at a time. This is because each bank actually has it's own bus to the PVR Core. This will all get explored in more depth later on. For now, the main thing to know is that every time you access your VRAM directly through the CPU, it has to travel a long distance, and no matter how small your operation is, it will be padded out to 16-bits. 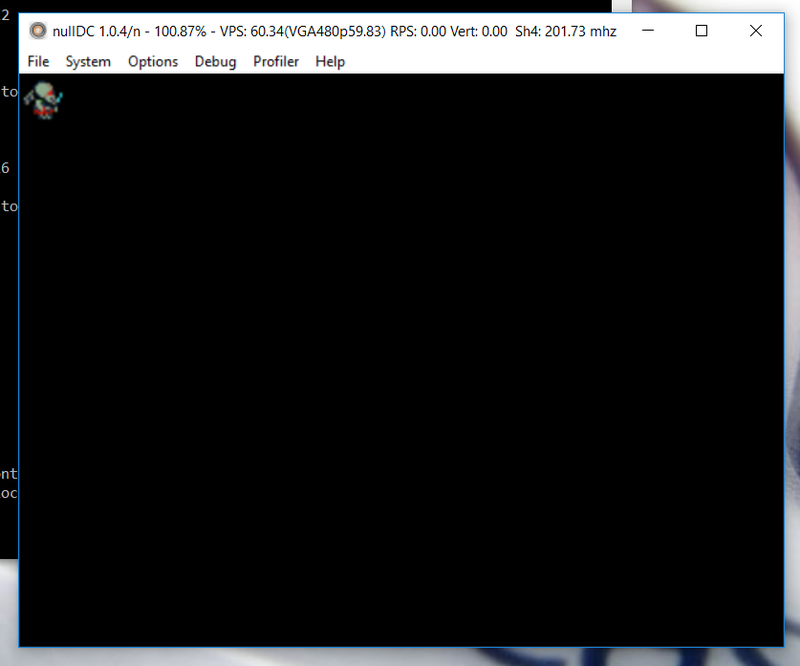 What we will be doing with our program is directly accessing a part of VRAM called the frame buffer from our CPU, for every single pixel we draw, for every frame we draw. Again, this is purposefully inefficient. Your CPU should typically be used for other things instead of plotting pixels in VRAM. But we can learn a variety of concepts this way, and it makes for a good starting point. 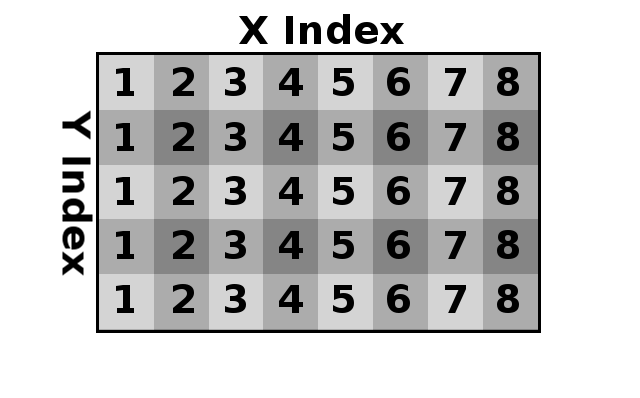 in this case, reading from left to right, the first four bits are ignored, then the next three bits of the string are taken in as one digit – 111, which is binary for 7. The eighth bit is ignored. The ninth, tenth, and eleventh bits are next read as one digit, 101, which is binary for 5. The twelfth and thirteenth bits are ignored, then the fourteenth, fifteenth, and sixteenth bits are read as 100, which is binary for four. The rule that I used to read the string correctly is called a format. Formats help us make sense of data that is otherwise meaningless. A popular format is ASCII, the American Standard Code for Information Interchange, which maps arbitrary digits 0-255 to English characters. You saw above how we had wasted space in our data string – 7 different bits were entirely unused. We are bound by the size limits of bytes as the lowest level we can access data (typically, there is no single bit type). Remember, 1 byte is 8 bits. Since I intended 9 bits to be interpreted, I need at least 2 bytes that allocate 16 bits total. When you set up a program for the Dreamcast, you need to select from a few different pixel formats that the Dreamcast can draw with. Modern systems typically output in what is known as True-color format 24-bit color, i.e. 8 bits dedicated to Red, blue, and green sub-channels individually, giving each color channel 255 different values (8 bits = max value of 255). This yields a total of 16,777,216 colors. 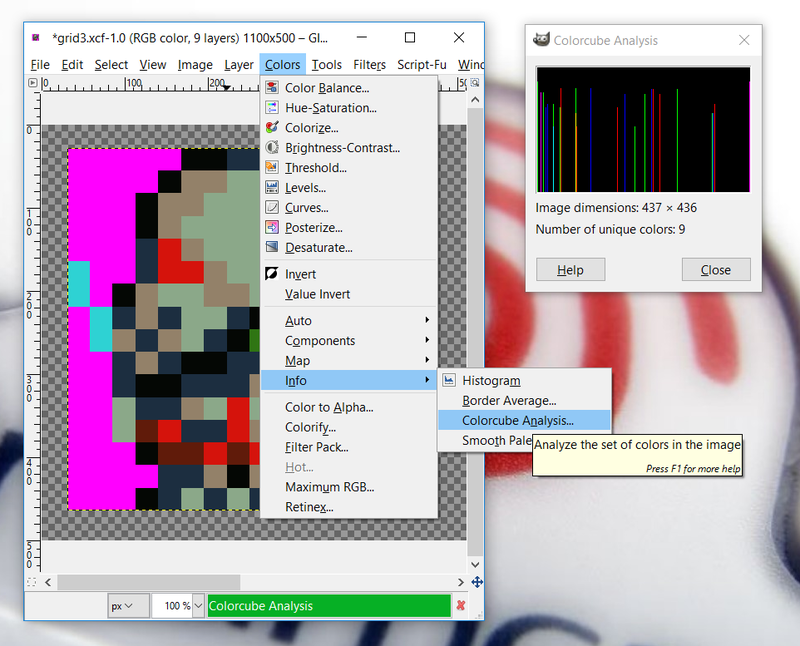 There is also sometimes 32-bit color, which adds an 8-bit alpha channel that controls transparency, although the end color selected is still one of those 24-bit colors in the end. For a variety of reasons, this is the fastest drawing mode for the Dreamcast. It devotes 5 bits to the red sub-channel, 6 bits to the green sub-channel, and 5 bits to the blue sub-channel. The reason for this division is because the human eye is slightly more perceptible to the color green, allowing us to see greater variations of that color than others. Hence, there are 32 values of red and blue available, and 64 values of green, for a result of 65,536 maximum colors. Each pixel is 2 bytes big. A 15-bit derivative of RGB565 mode. This discards a bit from the green index. Each pixel is 2 bytes big. This is the much slower 24-bit pixel mode. Though it offers better color selection precision, each pixel is 3 bytes big, making drawing to the screen much slower. This is the native Dreamcast internal pixel format. It is 8 bits per channel, for a maximum of 2,147,483,647 colors. For the most part, this is the texture pixel format you will want to use when working with the Dreamcast. ARGB4444 mode derives it's resultant output from ARGB8888. 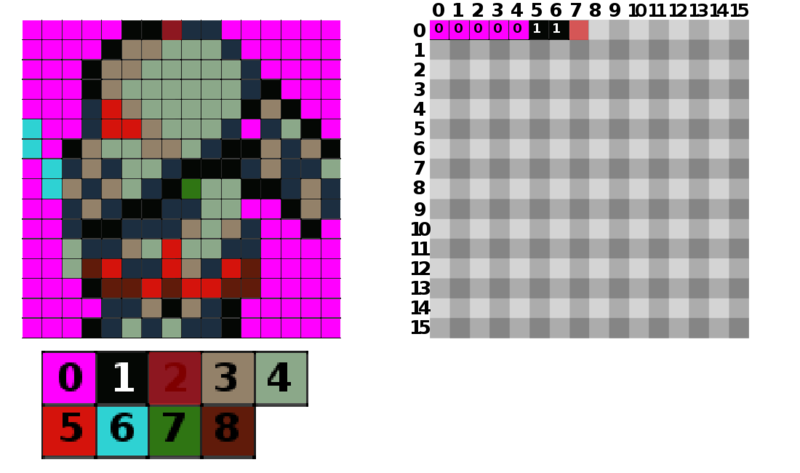 In this mode, 4 bits are devoted to an alpha channel, with the remaining 12 bits going to RGB respectively. This yields only 16 values for R, G, and B each, for a result of 4,906 colors, that can be modified by the alpha channel (and what they blend with) to ultimately output a possible 65,536 max colors. This mode devotes 4 bits to the luma channel, 4 bits to the U-axis (x-direction), and 2-bits given to the V-axis (y-direction). 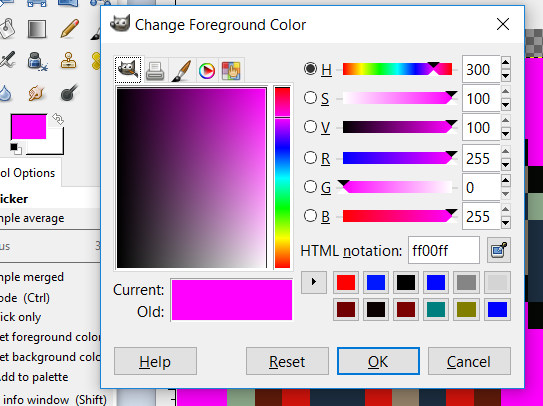 This yields 4^4^2 possible color positions for a max value of 65,536 colors. The Sega Genesis pixel format. The Dreamcast actually has a 4-bit pixel format that works with a palette. 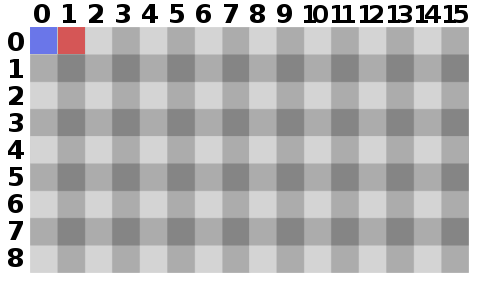 4-bits per pixel yields a maximum possibility of 16 index positions. What 16 colors those index positions refer to depends on how the Dreamcast palette is set up. The Dreamcast will set aside 1024 palette entries for colors. Because 4-bits only allows for 16 colors to be selected at once, those 1024 colors are split up into 64 different palettes that we can draw with (1024/16=64). 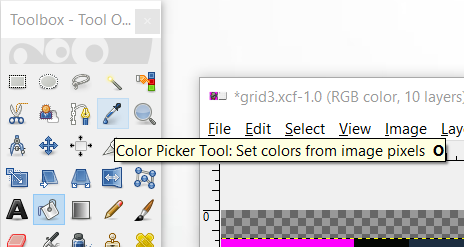 Each of those 1024 color entries can be any color. The main upside of this mode is that the size of your image in VRAM becomes extremely tiny, needing only 4-bits per pixel to be represented. That means that each byte represents two pixels. 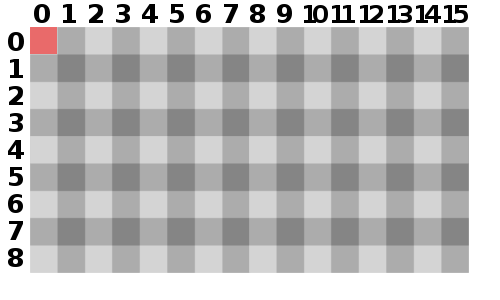 Contrast to the other modes, where 1 pixel was represented by two bytes each. Much like the 4-bit quantized mode, the 8-bit quantized mode works with a palette. But instead of using 4-bits per pixel for a max of 16 color index positions, this mode dedicated 8-bits per pixel, yielding a max o 256 color index positions. Because each palette can now have 256 entries, this means that our 1024 color entries is divided up into 4 palettes instead of 64 (1024/256=4). Like 4-bit quantized mode, each palette color can be any color. The main advantage of this mode is a smaller VRAM footprint. 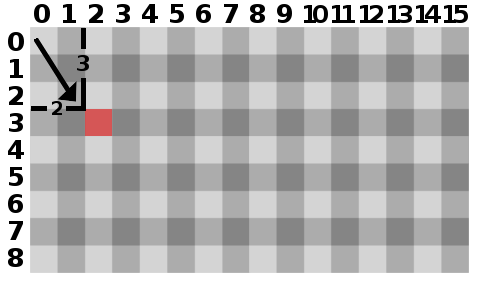 1 byte represents 1 pixel in this mode. When working with retro consoles, doing things efficiently becomes a must, which often means you need to waste as little space as possible as often as possible. Say you have two variables in your game, like number of bombs and number of arrows. But say these numbers have a limit you want to impose – nobody should be able to carry more than 15 bombs, and nobody should be able to carry 15 arrows. If you were to allocate each of these variables as an integer, you would be allocating 64 bits for these two variables (32-bits each). Considering you can represent every digit between 0 and 15 in only 4 bits, that means each variable is wasting 28 bits on meaningless data! That also means to pass these variables to functions, you must send 28 wasted bits of data. We only need 8 bits total, 1 byte. You are using 8 bytes to store what could be stored in 1 byte. While we are bound to the size of bytes when allocating memory, we are not bound to the size of bytes when interpreting data. In our example from before, recall that we only considered 3 bits per value. In order to read individual bits in a byte, you must use bit manipulation. Bit manipulation works on the principles of Boolean Algebra. The concept is to apply a mask using logical operations to trap the values we want to examine in a string of bits. Explaining Boolean algebra would be literally an entire course on its own, but a quick crash course for those looking to dive into Dreamcast programming – Boolean algebra is the study of logical truths. The area of Boolean algebra that we are concerned with is the definition of a few concepts: AND and OR primarily. Boolean algebra explains, logically, how these concepts work. Given any two binary inputs, Boolean algebra explains a logical output of a specific operation, be it AND or something else. Every permutation of each input is calculated for this operation and displayed in what is called a truth table. It is perhaps easier to understand what boolean algebra is explaining by using a real world example. Say we have a door in our game, and it takes both a blue key AND a red key to open. Boolean algebra explains the behavior of the door for every possible situation. That is to say, if we have no blue keys, and no red keys, then we can't enter the door. Similarly, if we have 1 blue key, and no red keys, we can't enter the door either. If we have no blue keys, and 1 red key, we also cannot enter the door. But, if we have 1 blue key, and 1 red key, we can enter the door. Applying it to our door analogy, in this case the door opens if we have either a blue key OR a red key. So if we have no blue key or red keys, it won't open. But if we have 1 blue key, and no red keys, it opens. And if we have no blue keys, and 1 red key, it opens. And if we have 1 blue key, and 1 red key, it also opens. There are logical operators to explain a variety of concepts. Other logical operators you might run into include XOR (exclusively OR) and NOT. In C style programming, the logical operator AND is represented with &, and the logical operator for OR is represented with |. When evoked in code, it will return a comparison between two given strings of bits. reading from left to right, we see that the first bit of variable 1 is a 1, and the first bit of variable 1 is a 1. 1 & 1 = 1. We see the same for the second bits of each variable. The third and fourth bits are both 0's, and 0 & 0 = 0. The fifth and sixth bit of variable 1 is a 1, and the fifth and sixth bit of variable 2 is a 0. 1 & 0 = 0. The inverse is true for the seventh and eight bits. By creating a variable that sets the correct bits that we want to read, known as a mask, and comparing it to data we want to read using a logical operator, we can isolate individual bits. When creating these masks, it is often beneficial to work in Hexadecimal. Hexadecimal is base 16, which means that instead of being able to represent 10 digits (0-9) with 1 character as we can in base 10, you can represent 16 digits with 1 character. The digits beyond 9 are represented with the characters A-F. When we use hexadecimal, we denote this in a few ways. Typically, hexadecimal is represented with either a $ symbol preceding the digits, or the 0x symbol preceding the digits. That means 0x10 and $10 should not be read as the digit 10 (as in coming after 9) but rather the hexadecimal digit 10, I.E. the digit coming after 15, or 16 in decimal. Hexadecimal is useful when working with bits because it naturally breaks bytes up into half-bytes (4-bits). This is because the numbers 0-F take 4-bits to be represented. That means that 1 byte in hexadecimal holds a maximum value of 0xFF. Make sure you understand these operations well, as we'll use bit-masking and bit-shifting quite a bit going forward. save this file in our Lesson3 folder as Makefile. Make sure you specify that the “save as” type is “All (*. *)” and that you don't add an extension to the file name. Now create a new file in your text editor. Save this empty file as Main.cpp in your Lesson3 folder. This is a nice little macro that takes 3 bytes (24-bits) and automatically formats them into the Dreamcast's 16-bit packed pixel format. Anytime we use the command “PACK_PIXEL(r, g, b)” the compiler will replace that code with the code to the right of the parenthesis, with the r, g, and b variables replaced by the digits we put in their place. The command on the right looks complex, but it's just a bunch of masking and bit-shifting to place the values in the correct locations in our packed pixel. Very handy shortcut. Next, we will include some external files necessary for our program. The first file is kos.h, which is necessary to access KallistiOS. The second is the standard input/output library that we use for console output. You can see we define a few variables, i and j will be used in a nested for loop in a bit, and quit is a variable we use to keep our program running. We have defined a nested for loop that goes 10 x 10, and we use those numbers, represented by i and j, to offset where we draw. You'll see inside the nested loops we use an array pointer called vram_s. 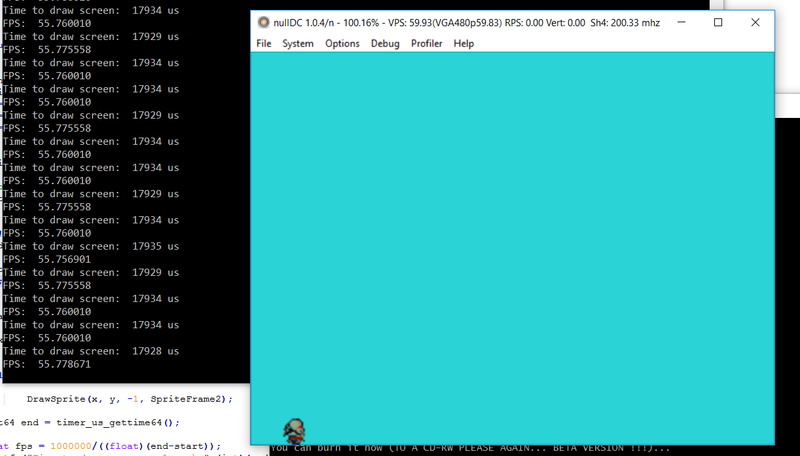 This is automatically defined by KOS as a shortcut to the location of the framebuffer in VRAM. 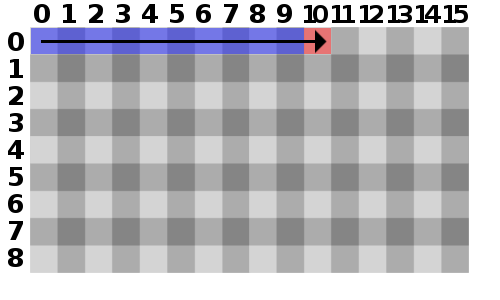 The framebuffer is stored as a 1-D array – recall that in C and C++, 2D arrays are not arrays of arrays, but rather a contiguous 1D array. You see we assign each pixel we access in the frame buffer a value that we create using our preprocessor macro. In this case, we are setting the red value to 0, the green value to 0, and the blue value to 255 (max). Go ahead and save this main.cpp file and build it. Make sure you include the bundled IP.bin file in your Lesson3 directory when building the project, or else your disc will not boot. I'm working on the rest of chapter 3 right now, actually. All my coding examples are done, going forward to the actual game. like the next chapter is about 12th dimensional vector quantization, and building a tool that will build sprites for us using VQ. The hard part is sitting down and finding time to write and edit the tutorial itself. Christ that's a hell of a post! Pretty amazing insight. You clearly have development talent and know your stuff. Excellent work. Actually, I'm still learning, which is why I wrote this guide. The best way to learn anything is to try and teach it to someone else. It also gives an opportunity for someone who might know more to step in and correct anything I'm doing wrong, which I'd really appreciate. Example - in a chapter or two, I'll go into detail about how to do some special effects in software. The way I tackle that particular effect was basically brainstormed with Chilly Willy, and I probably wouldn't have come up with that solution alone. Fantastic read so far. Can't wait to read more! This is fantastic. I don't know if I'll ever have the time or inclination to take another shot at programming, but I'm bookmarking this anyway. I'd recommend making this a subsection on the Sega Retro wiki to prevent it from getting lost over time. This zig-zagging pattern continues until the j loop iterates to the point where it's conditional is no longer met, i.e. j is no longer less than 10, meaning it will run a total of 10 times as well. That is how our square is drawn. Right now, when we draw, we start at (0, 0) on the screen, which is cell number 0. This is the upper-left corner of the screen. The lower right hand corner of the screen would be (320, 240), which would be the 76,800th cell. Drawing a solid blue box isn't too useful itself. Ultimately, we'll want to draw complex images with many colors. 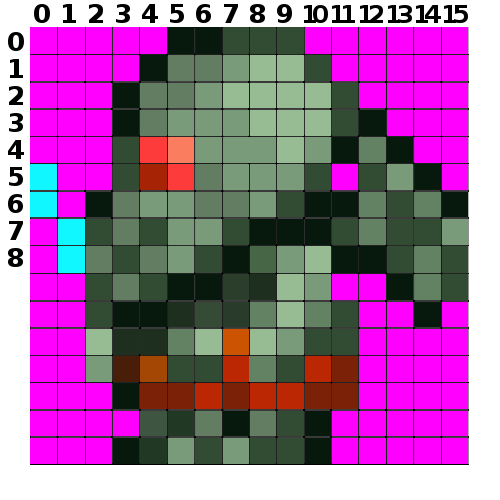 A sprite is an array of data that contains information used to draw a 2D image to the screen. Ultimately, we want to draw sprites to the screen for our game. Let's begin by writing a function in our program that will change the color of the pixel we draw depending on which color we select. This function, called DrawPixel, takes 3 integers – x, y, and color. 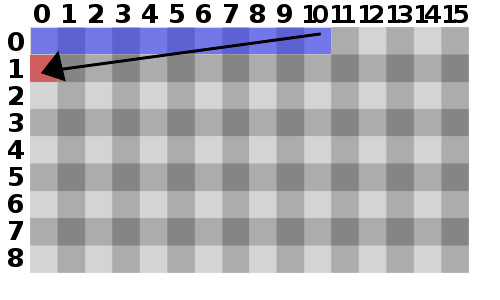 x and y are ultimately the final resultant position where we will draw our pixel, and color is used to select which color we plot. We use a Switch Statement to select between all the possible values that color could be, from 0 to 8. What we have created, in essence, is a Palette, that takes a number 0-8, to draw different pixel colors. Because this data is declared outside of a function, it's global in scope, meaning multiple functions can access it, and it won't be destroyed when a function exits. This data matches the pixel data from our original sprite. More importantly, SpriteData isn't just an integer, it's a pointer to an array of integers. This means that, in memory, we just declared 256 (16x16) integers in succession, each 32-bits long. 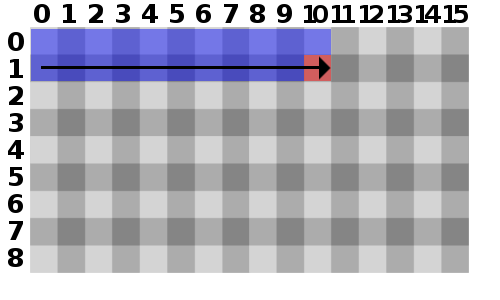 SpriteData points to the location in memory where the first integer is located, and you access the integers afterwards by passing an offset in brackets. i.e. if you called SpriteData, then it returns the location of the integer located at SpriteData (the first integer declared) + 1 times 32-bits, which arrives at the location of the second integer in the array. This matches the structure of our 10x10 nested for-loop drawing routine that we created in Main before, except this one goes 16x16 (the dimensions of the sprite we are drawing). This function takes an x and y coordinate that it passes to DrawPixel along with offsets i and j. It also takes a pointer to an integer called Data. Because arrays are pointers to data, this allows us to pass an entire array of data to our function. New to this structure is integer called PixelCounter. This is a number we use as an offset to iterate through the Data array. Each time the nested for-loop completes, PixelCounter increases by 1, which makes us point to the next pixel in our array. We still have our Main Loop, but we no longer have nested for-loops inside. Instead, each frame, we call DrawSprite and pass our x and y variables, along with the SpriteData array. Our function now takes an additional integer, Direction. 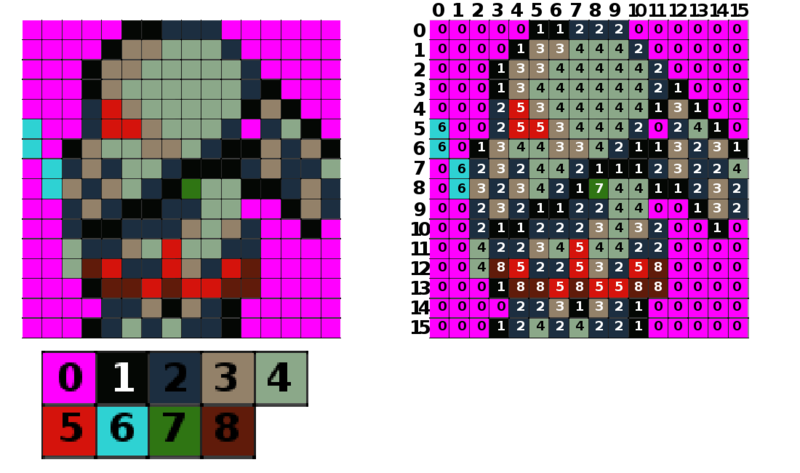 Before we get into our nested for-loops that draw our 16x16 sprite, we check Direction's value. If Direction is greater than 0, then we draw our sprite the same way we drew it before. Otherwise, if Direction is 0 or less, then we change our nested for-loops. While we are at it, let's change our SpriteData type. Currently, SpriteData is a pointer of type integer consisting of 16x16 (256) elements. Each element is 32-bits big, meaning our array is 8,192 bits big, or 1024 bytes, or 1 KB. That's a lot of space for such a tiny picture. As we learned earlier, we can store 2 Hexadecimal digits in 1 byte, and since we only have 9 colors we're drawing with, 1 hexadecimal digit is big enough to represent 1 pixel. Thus, if we switched our type from 32-bit integer, to 8-bit byte, we could save a ton of space without losing any data. Recall that prefacing a digit with 0x or $ indicates that it is a hexadecimal digit. Though the data above looks nearly identical to the 32-bit integer data, it is much smaller. This is an array of 8x16 bytes, each 8-bits big, meaning the total array is only 128 bytes big, or 0.125 KB. That's the same exact data, only less than 1/10th the size! You can see now we call DrawPixel twice now, because each byte of data contains info for two pixels. First, we examine the high portion of the byte, then the low portion on the second DrawPixel call. Because we branch depending on direction, our change must be reflected twice in each branch. You can see that the first thing done every time the Main Loop runs is that x is increased by 1. However, immediately afterwards, x is boundry checked by the width of the screen, 320, using modulus division. 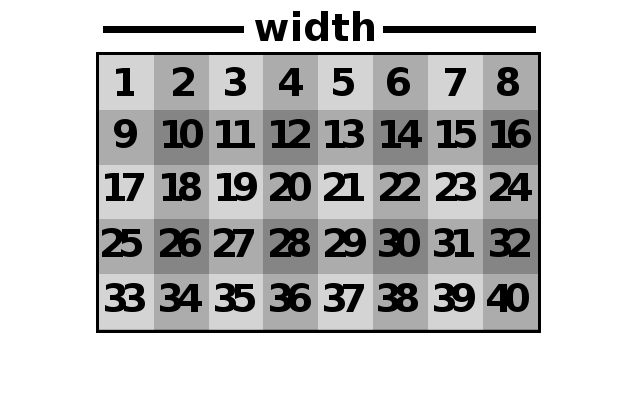 Modular arithmetic is a system where numbers “wrap around” after reaching a maximum, which is represented by the divisor. Since our divisor is 320, when x is greater than 320, it'll loop back around to 0. This means if we increased x to 321, then (x%320) would return 0. If we increased x to 322, then (x%320) would return 1. If we increased x to 323, (x%320) would return 2. And so forth. Another way to think of modulus division is that it is essentially giving you the remainder for integer division. Recall that integers in C and C++ are whole numbers, no decimal places. That means that the integer division of 6/5 would return 1, because it cannot represent 1.2. However, modulus division 6%5 would return 1. 6/5 = 1, and 6%5 = remainder 1. Our sprite moves, but it leaves a long trail behind him. This is because every frame we set certain pixels in the frame buffer to new colors, but never change the old position colors back to black. We are essentially never refreshing the screen, just drawing on top of the old one. To fix this, we'll need to draw some more pixels to hide our previous work. This tile is still 8-bits per 2 pixels, but each pixel is set to color 6 in our palette, which is a blueish color. 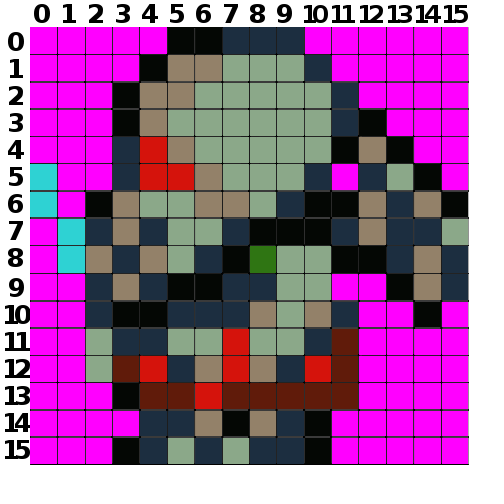 If we were to draw this tile all over frame before each time we draw the sprite, we would effectively change the entire frame to sky blue each update. ClearScreen takes no parameters, and uses a nested for-loop that runs the entire width and height of the screen. However, instead of incrementing i and j by 1 each iteration, this time i and j jump by values of 16. This is because our background tile is 16x16 big, we don't need to draw it for every single pixel horizontally and vertically, only every 16th pixel horizontally and vertically. Instead of passing DrawSprite our SpriteData, we instead pass it the BGTile. SpriteData has been changed to SpriteFrame1, and there is a new frame called SpriteFrame2. These hold different frames of animation to draw from. The first major change we see is that at the beginning of the Main Loop, we allocate an integer called start. This isn't a normal 32-bit integer, it's an unsigned 64-bit integer. It's 64-bit long, instead of 32-bit long, so we can express greater numbers. You see that we set it to the result of a function called timer_us_gettime64(). KOS defines timer_us_gettime64. It returns the result of the Dreamcast's realtime clock in microseconds, as a 64-bit integer. This will let us know in microseconds the precise time the loop started. Next, after binding x to the width of the screen using Modulo division, we call the function ClearScreen. 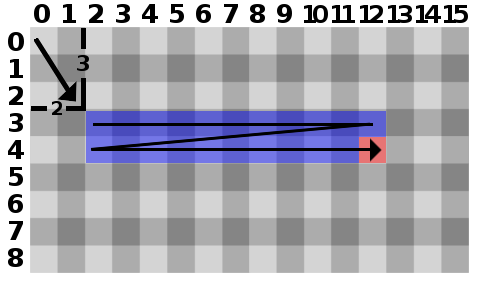 This will draw a cyan pixel over every pixel on the screen, effectively removing our last drawn frame. Next, we do a new conditional if branch that checks the result of x%2. The result of x%2 will tell us if x is either even or odd. If x%2 == 0, then x is even, otherwise x is odd. On even frames, we pass DrawSprite the array SpriteFrame1, and on odd frames, we pass DrawSprite the array SpriteFrame2. Finally, once all this is done, we capture another microsecond into a uint64 called end. We then calculate the frames per second into a floating point number called fps, that is the result of (1000000/ end – start). This will yield the frames per second on average given the time it took to draw the frame. We end our main loop by using printf to output some text to the Dreamcast's console. The first time, we output “Time to draw screen” and then an unsigned number, followed by a new line return. In our printf function, we pass (end-start) as the unsigned number printed. Second, we print “FPS: “ followed by a floating point number, then pass fps as our float to output. 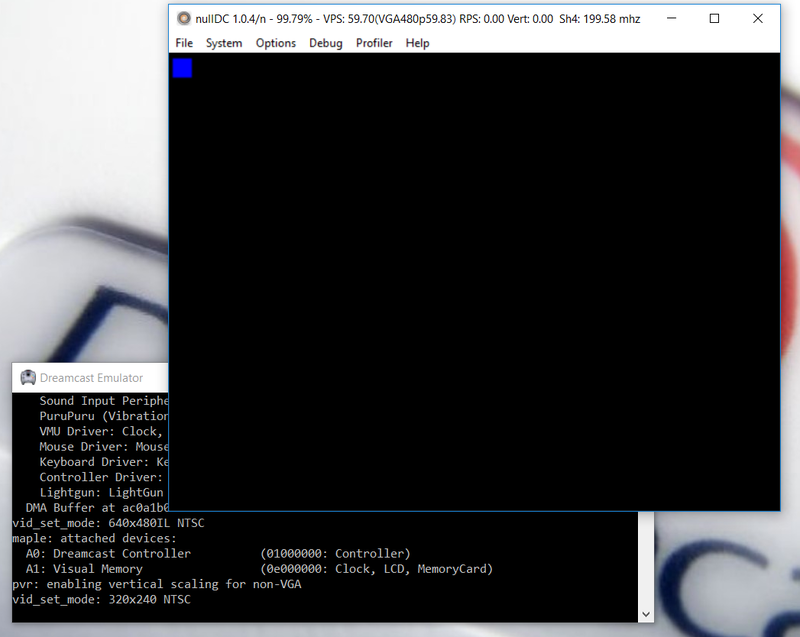 Note that we can only see the Dreamcast's console output via emulation. On a real Dreamcast, we have no console to output to unless you are using a devkit. This is, realistically, just about the limits of what we can do with software rendering. If you look on the console output to the left, we aren't even hitting 60 fps with this demo. There are ways we could speed up our drawing – we could use a form of John Carmack's Adaptive Tile Refresh to limit the amount of pixels we are updating to the screen at once. But that would ultimately be putting lipstick on a pig. In truth, if you were to mess with the y position of the sprite we are drawing, you'd actually see the tear line on the screen as it draws. 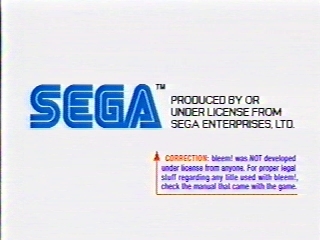 The mighty 128-bit* Dreamcast (*marketing fluff) is having trouble drawing a single tiny sprite to a blue screen?! As I said before starting this chapter, this is intentionally the wrong way to approach Dreamcast programming. We need to hit the hardware in a specific way to make it fly. The Dreamcast is capable of way more than this. Ultimately, it's the slow bus and slow CPU speed of the Dreamcast that makes this style of software rendering unfeasible for realistic development. However, on a modern system, this type of rendering is totally viable. If you want to apply this style of drawing to a modern PC, you should have more than enough behind your CPU to create an entire 2D game this way. Learning how to do things the wrong way winds up being beneficial because we learn the fundamentals of drawing to the screen. In the next lesson, we'll begin using the Dreamcast hardware to start really drawing to the screen with speed. The guide is being mirrored in a number of locations, but I encourage additional mirrors without requiring permission for duplication. All I ask for is some recognition of authorship. I also have an automated, gui-based installer that will set up and install cygwin and KOS for windows that works off of a script, so that should the process of installing KOS change (as it did within the last 2 years), the script can change without recompiling the installer program. I sort of spoke to Main Memory about it briefly a few weeks (months?) ago asking if there was a place on retro that I could host the script, which could be updated if necessary, so that my program could automatically download an up to date version. I need a couple of songs for this game if anybody wants to donate some music they've made. Preferably something that sounds "Sega Genesis-y." GeckoYamori has made a track for the main gameplay part of the game, but I need something for a title screen and something for a game over/highscore screen. Anybody mind contributing some music?